Increased fuel costs are a real issue across the UK and an issue that affects us all. The number of people in Scotland (2016) in fuel poverty, where 10% of their income was spent on fuel was 649,000 which equates to 26.5% of households. The Scottish Governments draft fuel strategy proposes a number of actions to eradicate fuel poverty which includes legislation that will see fuel poverty reduced to 5% in Scotland by 2040. The Scottish Government will publish the final Fuel Poverty Strategy sometime this year. Identifying households who are vulnerable to fuel poverty? Inevitably any household is vulnerable to high fuel costs, but there are certain households that are more susceptible to fuel poverty than others. 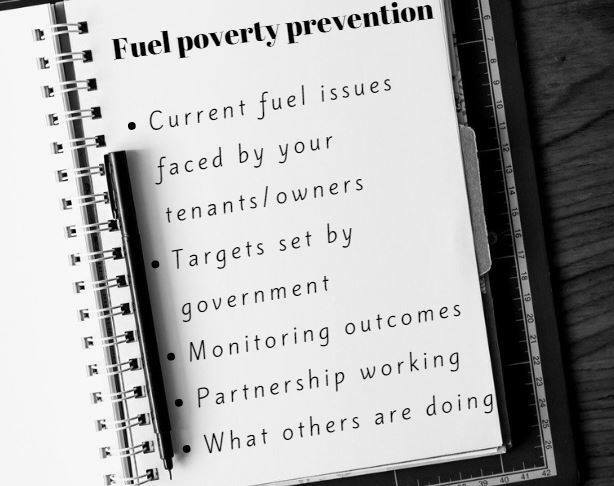 Fuel poverty prevention should be on the forefront of your staff training this year and SHARE has developed a course; fuel poverty prevention that will look at how to identify fuel poverty, working in partnerships and the role your organisation can play in changing outcomes for your tenants. Fuel poverty prevention takes place on 18 February at the Bob Allan Conference Centre, Saracen House, 139 Saracen Street, Glasgow. You can find out more HERE or contact info@share.org.uk and one of our team will be happy to assist.